Volunteering has many obvious benefits, such as making a difference in the community and supporting the good work of social service agencies. But what about the benefit for you and me? Feel Good February gives us the opportunity to reflect on how we can give back to others through good deeds and acts of kindness, in order to increase happiness in our lives and in the lives of others. 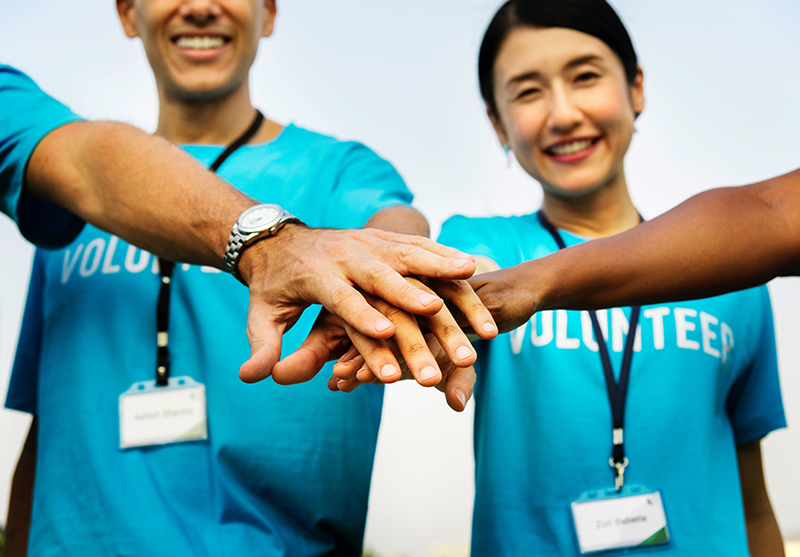 Research has shown that volunteering not only benefits the people we help, but it does wonders for our own mind and body - and it’s all related to the act of helping. Volunteering, or helping others, has been shown to bring happiness through the measurement of hormone levels and brain activity. This happiness can help to negate issues such as anxiety, stress and depression, but there are other aspects to volunteering that help with these issues too. Just the fact that we’re making a positive difference can increase our self-esteem and confidence, because we gain a sense of achievement from our accomplishments. Volunteering can also give us a sense of purpose. This may be particularly pertinent for retirees who are reluctant to leave the workforce. The social aspect of volunteering is also beneficial for the mind because we form connections with those we’re working with. This is a particularly valuable insight for people suffering from depression and loneliness; who are longing for meaning as well as meaningful connections. Yes, there are benefits to the body from volunteering, and part of this is due to the psychological benefits. For example the reduction in stress, thanks to volunteering, means that we’re less likely to have high blood pressure. Other benefits to the body include a decreased risk of disease, reduced chronic pain, and even a lower mortality rate than among those who don’t volunteer. The physical benefits of volunteering appear to have even greater effects for older persons, as it gets them out and about, walking more often and stimulating the brain leading to better overall health. If you’re thinking about volunteering but you’re not sure where to start, take a look at social service agencies in your local area. You may find that some will advertise for volunteering roles, but for others you can try giving them a call to see how you can lend a helping hand. CatholicCare’s Volunteer Program currently has around 150 volunteers who contribute to many of our different programs and services across Melbourne, Geelong and Gippsland. If you’re interested in volunteering with us, check out our volunteer page or give us a call to see how you can get involved and give back to your local community. Source: Volunteering and its surprising benefits.